Whistler is a leader in international state-of- the-art mobile electronics and automotive laser/radar detection systems. Throughout the years, Whistler has innovated and patented important product advances, resulting in first-to-market accomplishments and top performance rankings. Whistlers relentless pursuit of innovative design and technology ensures a high-performance, user-friendly, and value priced product. Whistler does not incur any additional costs for obtaining updated speed camera databases. Whistler's databases contain thousands of fixed speed cameras, danger zones and video systems, and are kept up to date. Unfortunately, this is not the case with numerous manufacturers! 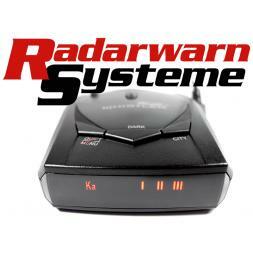 When buying a Whistler radar warning system in our shop, you will receive lifetime free speed camera updates.